It's that time of the week again! Time for me to muse about all my favorites, what's on my mind, and other random things I'm thinking, trying, and doing. Today's theme – June's Front Runners. July is already here and we've said good-bye to June. June brought us record temperatures, my first sunburn of the summer, the start of my glasses fogging every-time I exit my car, and hair 2xs the size of normal due to a beautiful combination of heat and humidity. I'm going to celebrate this new month of guaranteed higher temps with sharing my favorite things from June. Who doesn't love a fresh summer playlist? This one has been on repeat all month. What playlists are you loving this summer? Comment below! Last year's summer salad was a spin on an Asian Chicken Salad. This summer's salad of choice - BLT in a Bowl. 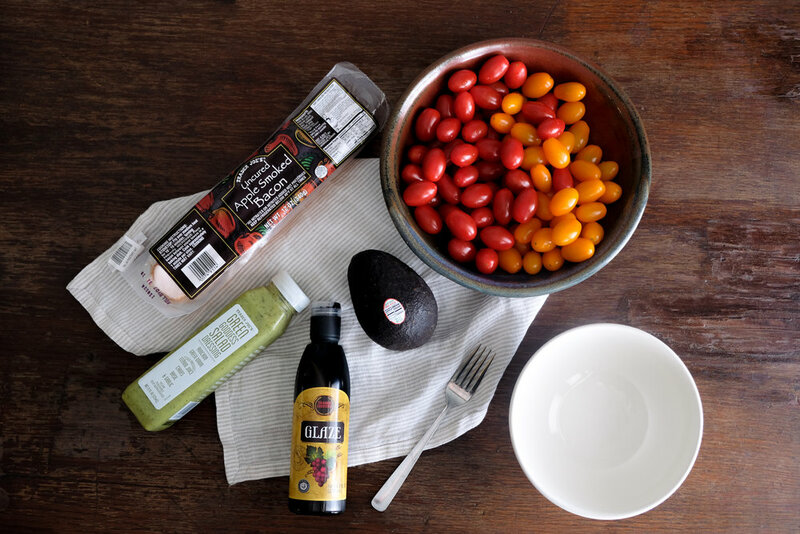 This is a combination of crispy bacon, fresh tomatoes, a beautiful ripe avocado, some fresh arugula (optional), green goddess dressing, and a drizzle of balsamic glaze. It's so easy, fresh, and filling. It's been added to the weekly rotation. 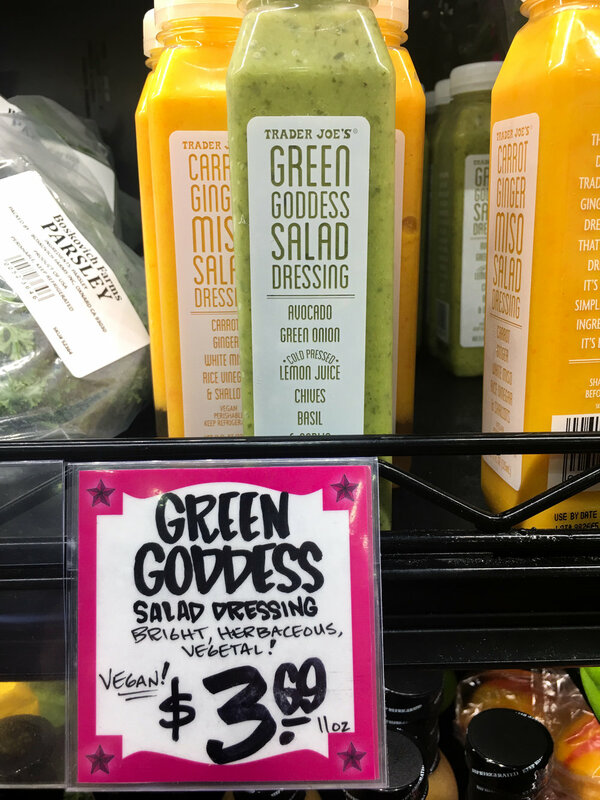 Trader Joe's has be killing it (per usual) with some of their new products. It takes everything for me not to buy all their snacks and sweets every time I walk in the door. Recently I stumbled across these items and they're quickly becoming a staple in our pantry and fridge. Can I just explain why this butter will change your life. This ready-made compound butter will take your scrambled eggs from drab to fab in minutes. Let the butter brown in the pan then add your scrambled eggs mixture. You'll instantly be transported to some high-end breakfast situation with decadent, fluffy eggs with a hint of garlic and herbs. It was my goal to not spend too much in June. Ever since I started working from home, my spending has definitely died down a lot, and I don't feel the need to buy a new wardrobe every season, but this summer season everything just seemed too dang cute and was way too tempting so I had to put a kibosh on my summer wishlists. One thing I couldn't do without was a new bag. I'm a sucker for a good purse and I've been eyeing this one from POLÈNE for months now. I'm one of those people that gets buyer's remorse really bad and I haven't had an ounce of it since this beauty arrived in the mail. Next on my list of "things to buy that I really don't need" is a wallet – send over any suggestions or favs! #feedthehabbit. 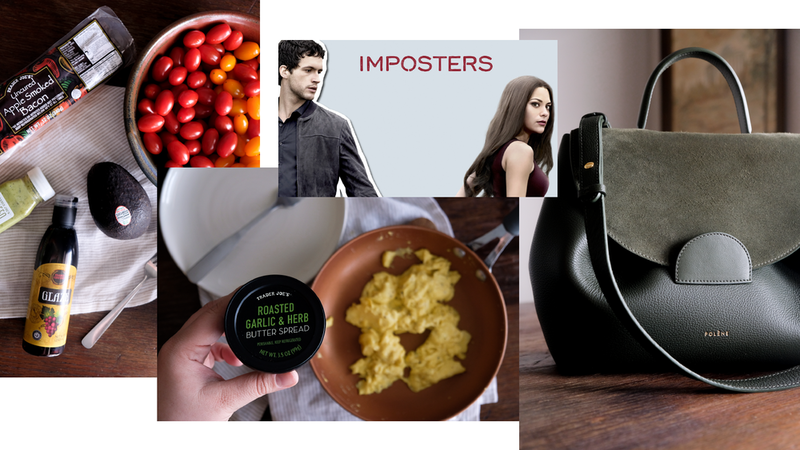 I recently watched the entire season of Imposters in like 2 days. It's a Bravo Original Scripted Series and I'm #OBSESSED. If you're looking for something new it's sure to please. It's about a con artist and her trail of victims who come together to track her down and get her back for what she's done. It has twists and turns with comedic breaks. It's the perfect summer binge for anyone one looking for something new.